Create an attractive cover: Although this is important when releasing a printed book, it is ten times more important when releasing an ebook. However good the ebook is without an eye catching cover it will be overlooked. Authors and books that are well known can maybe get away with not having an attractive cover, but for the rest of us we don’t have that luxury. You need something that will stand out from the crowd and grab readers attention. People looking for a book (or anything else online) browse very quickly, far quicker than in a physical shop, so if you don’t grab their attention in the first few seconds then you have lost that sale. The image used for a cover also needs to look good small as a thumbnail, so don’t use anything too busy and elaborate. You may want to use a graphics package to create your cover if you are fairly artistic. Programs like Photoshop are very good if you have the cash or you can use GIMP which is free and also pretty good. Product Shot Pro is another good alternative and costs $29. It is designed especially for ebook covers. Another option is My Ecover Maker that charges a monthly fee of $14.95 for unlimited covers or $3.95 per cover. Here, you select your cover type, then background, then image and text and you create your cover that way. You can use their templates and images or your own. You can even make a cover using some of the free templates, but they are very limited so it’s probably worth paying the $3.95. Some of the places which I will be talking about shortly to publish your ebooks, offer the option of producing very professional looking covers for you. They do tend to be quite expensive though, but if you have the money they are very good. Fiverr is another place where you can buy ecovers from, but check the reviews first and also ask to see samples of their work as the standard of work can vary. There’s also Freelancer and Elance, but these tend to be more expensive than Fiverr. I haven’t mentioned the more professional companies and individuals out there that produce ebook covers as they do tend to be expensive and I wouldn’t recommend them if you are just starting out. Price your ebook wisely: Ideally you should be selling your electronic book for $5.99 or less. There has been quite a lot of research done about this and books priced between $2.99 and $5.99 have yielded the most profit. Also bear in mind that two of the biggest self-publishers Amazon and Barnes & Noble set their royalty rates depending on the price you set for the ebook. In Amazon’s case their highest royalty rate (70%) is reserved for books selling between $2.99 and $9.99. The rate falls to just 35% to books priced outside this range. Barnes and Noble has the same arrangement with a royalty rate of 65% for books priced between $2.99 and $9.99 and 40% for those outside this range. Make sure you can set your own price: As you can see from the above tip, being able to set your own price is crucial. Anywhere that doesn’t let you set your own price should be avoided. Ensure your book is well written: Just because your book is an ebook and not a printed book don’t let your standards slip. Primarily it must be good, interesting, worth reading with no spelling or grammatical mistakes. Put yourself in the position of someone else going to buy your book from a book store, would you still buy it? Some publishing companies offer proof reading as part of their services, others charge, buy whatever make sure you read and re-read your ebook several times, even give it to family and friends to check over for mistakes and for their personal view. Market it everywhere you can: Again some publishing companies will market the book for you as part of the package, but remember if they are publishing thousands of books it’s unlikely that yours will be right at the top of their agenda. Some offer basic and premium packages which include marketing and will hence improve your exposure, but there is quite a lot you can do yourself. If you don’t have a website get one, preferably with a domain name similar to your book title or subject and publicize it on their. Maybe offer some chapters for free download, or a special offer for the first 100 people to request a copy. You can also publicize it through your Facebook or Twitter account or other social media. Write a blog, find forums about the subject of your book and offer advice with a link to your ebook. You can even buy gigs on Fiverr for people to advertise your ebook on their blogs or Facebook or Twitter accounts, some people on there have thousands of friends and followers. You could even print up flyers with details of your ebook and hand them out or put them in shop windows. When considering who to publish your ebook with, there are some things to bear in mind. One way or another you are going to have to pay. Whether that is a percentage of book price or a flat fee is dependent on the publisher. Saying that some publishers do offer 100% royalty rates offers from time in time to attract new authors and some also offer deals if you promise that company exclusive rights to your books for a certain period, but more of that later. Let’s get on to who are the major (and not so major) players out there and what your options are to get your ebook published. 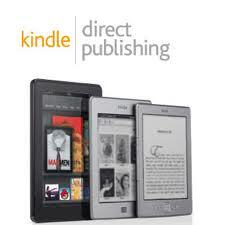 We’ll start with the biggest player out there, Amazon’s Kindle Direct Publishing or KDP. 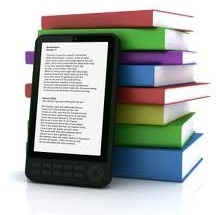 KDP is a great place to start when publishing your ebooks. They pay the highest rates, are the most popular place to buy ebooks from and have a host of videos and pdfs explaining how to prepare your book, publish your book, merchandising your ebook and lots more. Amazon use their own proprietay ebook format called AZW as opposed to EPUB which everyone else uses. If you want to create your entire ebook yourself including all the formatting, cover and conversion, they have a great video that explains all the steps for you. There are also some free conversion software tools such as Calibre and Mobipocket eBook Creator that will covert your Word document into a vast amount of different formats including MOBI (AZW), EPUB, PDF and more so you can upload your electronic book anywhere. If you don’t have the time or confidence to do everything yourself there are companies such as CreateSpace (Amazon’s own self-publishing company), 52Novels and Aptara that you can pay to do the work for you. There is a longer list of Professional Conversion Services here. As mentioned earlier Amazon offers two rates of royalty to their authors: 70% and 35%. Please see the complete list of terms for more details. They are offer a program called KDP Select that offers incentives to authors to publish their ebooks exclusively with them. This means that for at least 90 days you can only distribute your ebook with Amazon. In return every time some borrows a book from the Kindle Owners’ Lending Library you get a cut of the annual fund that they dedicate to independent authors and publishers. For example in March 2012, every time someone borrowed an ebook, the author earned $2.18. Plus for 5 days out of those 90 days you get free access to their promotional tools. It’s hard to say how long Amazon are going to do this for, but it is very popular among independent authors, because not only do you get paid for each ebook someone borrows, it also gives you free promotion and helps spread the word of your book through word of mouth and also sets up the possibility that the person borrowing your book may also purchase it. Remember that Kindle still has by far the largest market share with 60% of the market compared to 25% for Nook and 15% for Apple, so tying yourself to one platform for a short period isn’t that much of a concern. 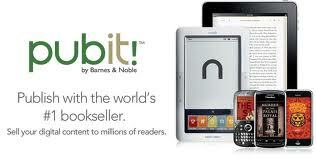 *Nook has just announced that it is also launching a new platform (initially just for the US market) called Nook Press. It additionally allows you to make changes on the fly, create interactive table of contents and gives you the option of whether you want your finished eBook to have DRM or not. 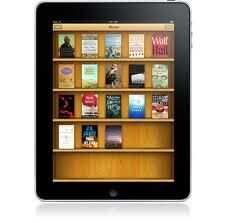 iBooks is Apple’s platform for downloading and publishing ebooks. First off it’s not as easy to use as either Amazon’s KDP or Barnes & Noble’s Pubit! especially if you have a PC. Apple’s requirements are stricter and the process of being accepted takes longer. In many ways it’s easy to use one of their designated aggregators such as Smashwords or Lulu (see below for more details). The royalty rate is a flat 70% which is good. For those Mac users who would rather publish direct to iBooks you first need an Apple account and then you need to download a piece of software called iBooks Author. Apple has made this software free and it allows you create an interactive ebook with pictures, movies, 3D objects and more. It has dozens of templates included and you can get more from the internet. It is quite an impressive piece of software and it is creditable to Apple that they are making it free, but there are some downsides. Once your ebook has been created into a .ibook file, it can only be used on the iBooks platform, you can still upload books in the EPUB format without using iBooks Author, but you won’t get any of the interactivity features such as movies etc. Also unlike other publishing platforms it doesn’t provide a free ISBN number. This is the unique indentifier every book or ebook has. Bowker, who are the company who provide ISBN numbers charge $125 for a single ISBN, although this drops to $250 for 10. Buying an ISBN does get you entry into institutional search engines such as libraries, Books in Print and other databases. On the issue of ISBN, although quite a few of the other publishing companies offer a free ISBN number it is often better to buy one yourself. The reason being is that in most of their terms and conditions, offering you a free ISBN ties you to that particular company. Once you have formatted your ebook, you are ready to upload it to your iTunes Connect account and for this you will need to download another piece of software called, iTunes Producer, answer several questions and then upload your ibook file and cover and wait to be approved which can sometimes be quite a lengthy process. Smashwords is one of the largest distributers of self-published ebooks, boasting over 140,000 titles from 45,000+ authors. With Smashwords you have the choice of selling your ebook directly on Smashwords.com or have them distribute your ebook to many of the major ebook sellers such as Barnes & Noble’s eBookstore, Apple’s iBooks, Sony, Kobo and others. Unfortunately though not Amazon’s KDP and I wouldn’t count on them distributing to them any time soon. With Smashwords you bring your Word file and cover and upload it into their “Meatgrinder” tool which creates your ebook in pretty much any format you want. They offer you a nice free style guide for formatting your ebook and it’s possible following their guidelines to produce a very acceptable looking electronic book. They also provide you with a free ISBN. Smashwords pays a royalty of 85% to publishers who sell directly through them and 60% for books it distributes through other ebook sellers such as B & N and Apple (see FAQs for more details). Basically they take a 10% cut when they distribute it. Every time you upload a book, you will see a pie chart showing you exactly how the price of your ebook is split between the different parties. Lulu is very similar to Smashwords in that you can distribute your ebooks directly with Lulu or have them distribute your ebooks to places Like B & N’s eBookstore and Apple’s iBookstore, again though not to Amazon’s KDP. A big benefit of publishing on Lulu is that it’s one of the designated aggregators for Apple’s iBookstore which means you can distribute your ebook through Lulu who will distribute onto iBookstore for you and not directly through Apple, which can be lengthy and awkward especially if you don’t have a Mac. It charges 10% (the same as Smashwords) for ebooks published on B & N’s or Apple’s bookstores. It offers a free ISBN number, EPUB conversion tool and eBook Creator Guide, but also offers some premium fee-based services such as Cover Design, Publicity Services and Promotional Materials at different price levels to suit most pockets. Bookbaby distributes your ebook to all the leading retailers including Amazon, Apple iBookstore, Barnes & Noble, Sony Reader Store and more (see full list here). You keep all the royalties these retailers pay you as BookBaby doesn’t take a cut, you just pay the upfront fee depending on what package you choose. If you think you are going to sell a few hundred or more then it definitely works out cheaper using this model. If it is only a few dozen then it is properly not worth using Bookbaby. Booktango offers a simple way to upload your electronic book and either distribute it with them or through other ebook stores such as Amazon, B & N, Apple and others. Basically just upload your ebook and through their wizard. it scans your ebook for any formatting mistakes and allows you to make other changes, then upload your own cover or use one of their templates, fill a section describing your ebook details and then select where you want it distributed. Booktango handles your ebook sales and pays all your royalties into one account for you. Booktango is free to use, but it does also offer other fee-based services. It’s big selling point is that you get 100% of the royalty. So for books sold direct through them you get 100% of the book price and books sold through say Amazon you get whatever royalty rate they pay, Booktango don’t take a cut. This may change in the future, but for now it’s a great deal. There are also some of the large print-on-demand self publishing houses such as AuthorHouse, Xlibris, iUniverse and others, but these tend to be more expensive and wouldn’t be advisable unless you can sell a lot of copies of your ebook. Quite a few of them also will not let you set your own price and I strongly recommend you avoiding such places that don’t allow you to do this. I haven’t mentioned companies such as LibreDigital or Overdrive as these are really geared towards larger publishing rather than individuals. Finally, there’s Scribd. You just upload your Word document (you can even upload a Google Doc) and the online software will convert it into a pdf which can be viewed on a computer, eReader or tablet. Will most of the ebooks and documents on Scribd are free, there are also paid ebooks on there and you can also set your own price as well as offering an excerpt of your book for free. While it isn’t a serious player compared to some of the competition and pdfs don’t always make the best reading experience, especially on some devices, it’s still a free and easy way to get your ebook out there. This article should provide you with several options in writing, converting, marketing and most importantly publishing your electronic book online. Depending on the type of book you are writing and which angle you are coming from I’m sure there is an option for you here. People writing ebooks as a business as opposed to those writing for fun or an extra bit of money will be looking for different things. For those starting out Booktango offers a cheap and easy way to get your book out there. I’m also a big fan of KDP’s Select as you still get paid for lending your book out, you get exposure and a wider reach as more people are going to access the book if it’s free, plus people on limited budgets can borrow and download a book without paying any money. For those more experience writers and for people wanting to maximize the money they get for each ebook, publishing your book with KDP and one of the aggregators such as Smashwords or Lulu may be the best way to go.